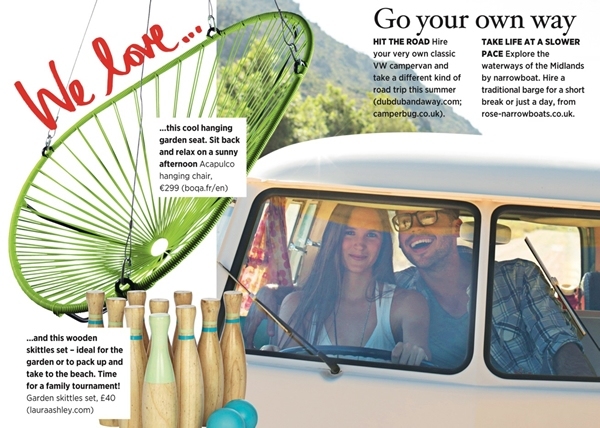 Have you seen us in the Summer edition of Sainsbury's Magazine? Imagine our surprise when we opened the Summer edition of the Sainsbury's Magazine to find that they have endorsed us on Page 29 in a section entitled "We Love..."
The article highlights what the editorial team loves during the summer and in the top right hand side of the page they have given options for Campervan and Narrowboat holidays. We were delighted to see Dub Dub And Away mentioned as one of the companies that they have endorsed for a Summer road trip.